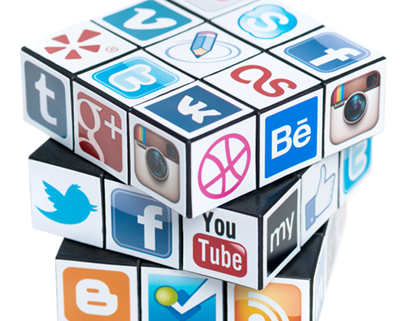 Social Media Marketing experts Brian Seethaler and Jesse Stay led an engaging presentation at our April 20th event. In “Decoding Social Media For Small Business” Brian and Jesse offered insight and advice on how small and independent business owners could best use social media to enhance marketing efforts. Vest Pocket Educational Events Now FREE to V.P. Members! The Vest Pocket Business Coalition board of directors has been working to improve our events, including how we charge attendees. For all remaining educational events in 2016, and starting with our March 16 lunchtime event, How To Find Business Mentors (and Why You Need One! ), members of Vest Pocket will be able to attend educational events for free! The fee for non-members is $20.00 per event. However, non-members can also opt to purchase an annual membership for $95.00 and the event fee will be waived on the spot. Why is Vest Pocket making this change? To make being a member of Vest Pocket more rewarding! In a nutshell, Vest Pocket want our members to get more value out of your memberships. Take advantage of the new policy and join us for the March 16 event! Click here to register now. https://utahindependentbusiness.org/wp-content/uploads/2016/02/vp-png-large-xtra.png 675 825 Vest Pocket https://utahindependentbusiness.org/wp-content/uploads/2018/09/UIBC-logo-rev.png Vest Pocket2016-04-21 07:41:462016-04-27 01:19:13Vest Pocket Educational Events Now FREE to V.P. Members! The Results Are In… From The Vest Pocket Members Survey! 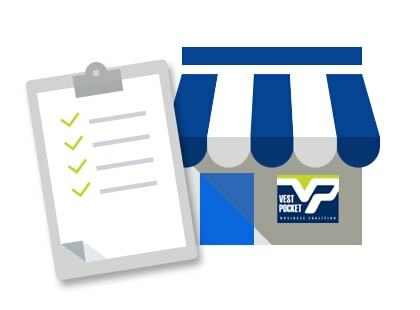 Last month, we asked Vest Pocket members and friends to participate in a survey to determine which educational events would have the most value to owners of local, independent businesses. The majority of respondents prefer lunchtime events (46%) over morning events (32%) or evening events (15%). In response, we’ll increase the number of Vest Pocket lunch events. We’ll also continue to hold several morning events! Registration for this event will begin this Thursday so watch your email and social media channels for the link to register. Thanks again for your valuable input and thanks for supporting Vest Pocket! https://utahindependentbusiness.org/wp-content/uploads/2016/02/vp-survey-pic2.jpg 310 420 dburton_90067so9 https://utahindependentbusiness.org/wp-content/uploads/2018/09/UIBC-logo-rev.png dburton_90067so92016-02-23 23:43:382016-02-23 23:55:11The Results Are In… From The Vest Pocket Members Survey! Do you or someone you know have a heart for supporting our local, independent businesses? As we begin 2016, Vest Pocket seeks nominations for new board members. The Vest Pocket board is a working board, and the organization has a tradition of providing valuable advocacy, education, and social events for our business community. Vest Pocket had a busy 2015, and new projects will be implemented in 2016, including a new business mentor roundtable and several business education events, as well as on-going advocacy efforts. Click here to learn more about Vest Pocket. Multiple board positions may be filled this year, and people with finance/accounting; event planning; public outreach, fund raising, or grant writing; and management/administrative skills would help round out the current board members’ diverse backgrounds and skill sets, although business owners and people with other professional expertise and skills sets are all sought for nomination. Board members must attend monthly board meetings and serve on at least one committee (advocacy, education, or membership), with the monthly time commitment averaging about 5 hours. You may nominate a friend or yourself. Interviews with prospective board members will begin in February, and persons elected to the board will begin service in April 2016. For more information, or to nominate yourself or someone else to the board, please contact Vest Pocket’s current President Jon Parry at (385) 743-1394 or via email jparry@klmrlaw.com. January 2015 – Legislature Warmup event featuring Frank Pignanelli, political commentator from the Deseret News. Held at the Wasatch Retreat & Conference Center in downtown Salt Lake City. February 2015 – What Small Business Needs To Know About Creating An Effective Modern Website event featuring Jocelyn Kearl and Michael Yount from Third Sun Productions. Held at the Miller Small Business Development Center in Sandy, Utah. February 2015 – 2 board members represented Vest Pocket at the Utah Non-Profits Association “Day on the Hill” event at the Utah State Capitol. March 2015 – Steps to a Successful Business Exit & Planning the Business Owner’s Financial Future event featuring Susan Wieck and Jon Parry. Held at the Salt Lake Chamber of Commerce. April 2015 – Installation of 7 new board members and recognition of outgoing board members Karin Palle, Pat Holmes, and Robin Carbaugh for their several years of service on the board. May 2015 – Awards Ceremony: Independent Business Advocate Award to Jessica Thesing and the Richard M. Wirick Lifetime Achievement Award to Lucy Cardenas, Bill Corker and The Cardenas Family Heritage, Owners Red Iguana. Held at the Gallivan Stage in downtown Salt Lake City. June 2015 – Joint meeting of the boards of Vest Pocket and Local First to discuss issues of mutual interest between the two organizations. August 2015 – Summer Social Barbeque celebration. 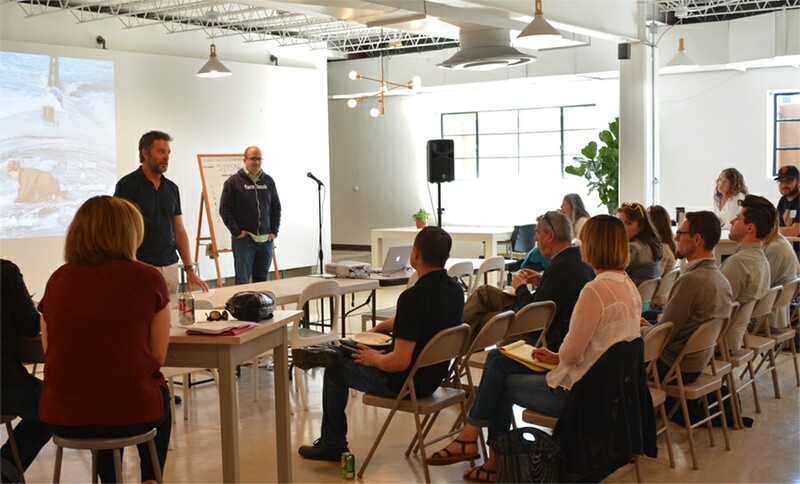 Held at Church & State business incubator, downtown Salt Lake City. October 2015 – Co-sponsor along with several other community organizations of the Salt Lake City mayoral and council debate including candidates Ralph Becker and challenger, Jackie Biskupski, as well as SLC City Council District 6 candidates Tracey Harty and Charlie Luke. Event was held at Clayton Middle School in Salt Lake City. October 2015 – Vest Pocket’s website at www.utahindependentbusiness.org was substantially updated and improved, including a modern platform for providing news and information of particular importance to Utah’s local, independent businesses. November 2015 – Co-sponsor with AARP-Utah of a Town-Hall Meeting To Discuss Employee Retirement Plans For Utah’s Private-Sector Workers, with speakers Sen. Todd Weiler, Chief Deputy State Treasurer David Damschen, and AARP State Director Alan Ormsby. Event was held at the Church & State Business Incubator in downtown Salt Lake City. December 2015 – Annual Holiday Mixer event for Vest Pocket members and friends. Event held at Cactus & Tropicals in Salt Lake City. Click below to hear Vest Pocket President Jon Parry talk about this important event! This event is free but space is limited. Click here to register now to reserve your seat. Join the Vest Pocket Business Coalition on Wednesday morning, November 18, 2015, as we and other organizations and state officials discuss solutions for helping private-sector employees save for retirement. An individual is over 15 times more likely to save for retirement if the employer offers a savings plan. However, more than 50% of private-sector workers in Utah don’t have a way to save for retirement through their workplaces because their employers don’t offer 401k or other retirement plans for employees. Statistics also show that most workers do not have IRA or other personal retirement savings accounts, despite their availability. The reality is that if action isn’t taken now to improve retirement account access in Utah, social safety programs are likely to balloon leaving Utah taxpayers to foot the bill. Join us as Sen. Todd Weiler, Chief Deputy State Treasurer David Damschen, and AARP State Director Alan Ormsby lead a conversation with business owners about solutions to the retirement savings problem in Utah, including possibly implementing a state-sponsored plan through automatic payroll deductions. A work group comprising several state officials and business organizations has been studying the issue this year and is formulating recommendations. What are your opinions about the issue? How might possible state-sponsored solutions affect your business? 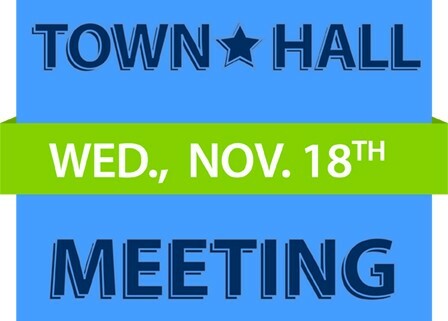 Come learn more and join the discussion the morning of November 18. Space is limited. Click here to register now to reserve your seat.